I needed something to put a bend in the rod - so I headed for the reservoir. 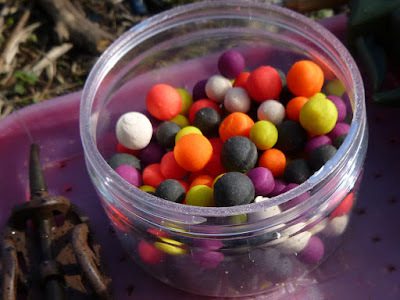 It's tough fishing here so to hedge my bets I fished two rods; maggot feeder for bream and colourful mini-boilies for carp. Only one run all afternoon - on boilies so I thought carp - but I dragged it in like a wet sock. I was surprised when a large frame slipped over the net and even more surprised when I picked it up. The scales pulled round to 9lb 1oz, new PB stillwater bream! Time for a quick photo - only now did the fish decide it wanted to fight - giving my freshly washed jacket a good coating of slime!! I've added a mat shot next to my scales below as the fish-in-motion selfie above doesn't do it justice. Really different shape and colour to it's river relative I caught a couple of weeks ago. Steady on Brian. You'll catch James up get! 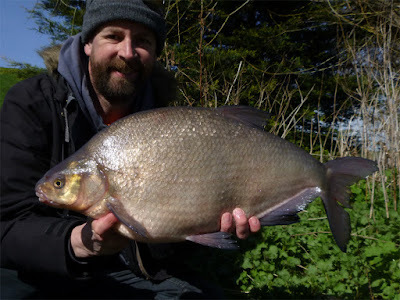 Me too, I have a bream curse so I’m always delighted to catch one! 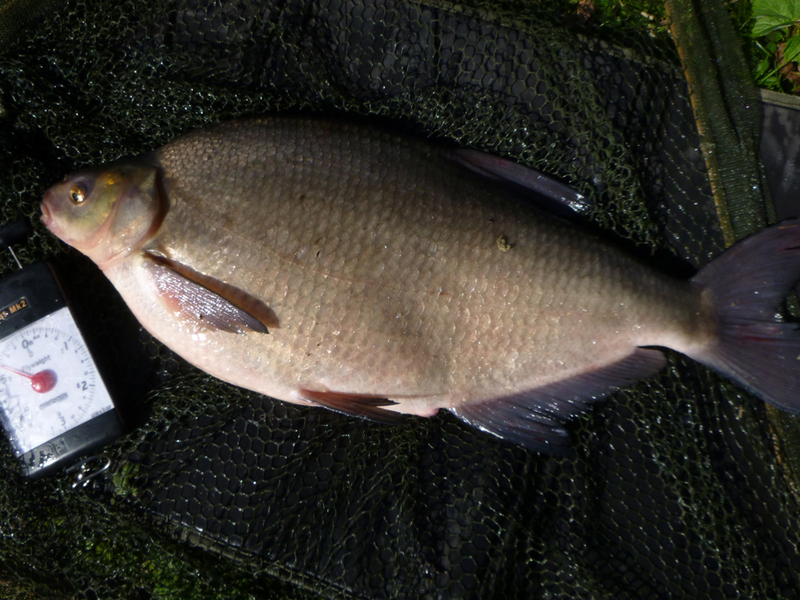 Bream curse....pfft....I think you are just luring us all into a false sense of security !